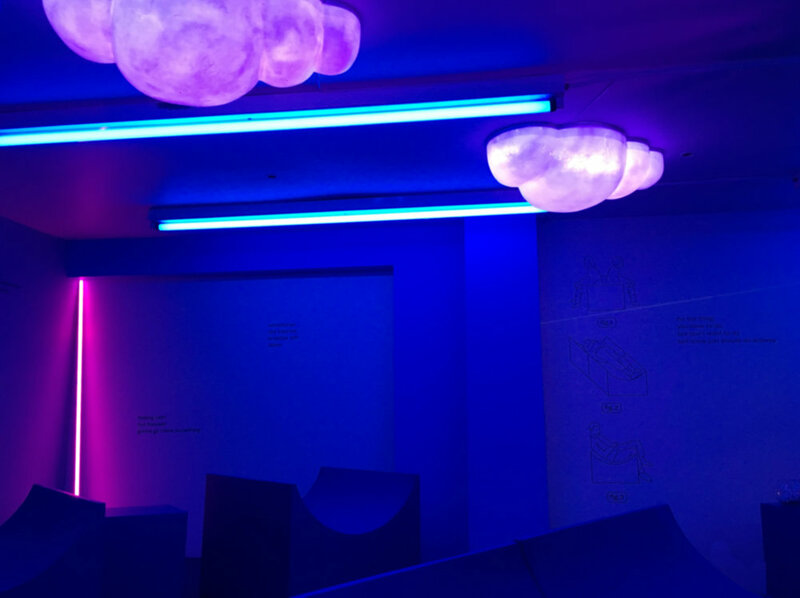 Window display, interior cloud lights for Recess’s NYC pop-up. Brick and cobblestone tunnel for Packer shoes. Designed and produced by Christian Figueroa and 32Square. Greenhouse built for Sephora's Pantone 'color-of-the-year' (Radiant Orchid), midtown Manhattan. Interior "skate-able" retail space built for Volcom. This was a renovation of their flagship store, which we also built.